These are the beautiful treasures we are used to seeing on Sanibel after strong winds from the Gulf Of Mexico. Brittany (Georgia) and her dad Steve (Kentucky) found plenty of BANDED TULIPS, LIGHTNING WHELKS, LETTERED OLIVES and APPLE MUREXES at Gulfside City Park beach yesterday. The weird thing? Those SEA SQUIRTS are back again by the gazillions – just like in September at Blind Pass like I showed you in the post Sanibel Sea Squirt Spectacle. But this time there were more shells mixed in with them. Look at those beautiful shells Clark found! He found that awesome ALPHABET CONE within 10 minutes of wading in the water. He said all of these shells were found by blind scooping in the water with his trusty shelling backhoe. We found unbelievably huge SEA PORK chunks all over the beach as well. SEA PORK is a TUNICATE as well so its in the same family as the SEA SQUIRTS. There were quite a few baby STARFISH along the shore line as well. This little one was still alive so I put it back in the water for a chance of survival. Clark showed me another huge glob of SEA PORK. Wowza! They are so pretty when they are this bright orange. Im not sure if its true, but I read somewhere that if SEA PORK has a bright color like this to it, it is still alive (well, the zooids that live inside might be still alive). So this one went back in the water. I found plenty of PURPLE SEA WHIPS but I dint find any that had the ONE TOOTH SIMNIAS or WINGED OYSTERS on them. This was probably the biggest and most perfect DEAD MANS FINGER sponge Ive ever seen. There were even other weird TUNICATES hiding within the SEA PORK and SPONGES. This one was a little more gooey but had bright orange lobes just like some of the other SEA PORK TUNICATES. After such high winds, its so interesting to see all of the different plants and creatures that get washed up on our beaches. It’s like our own private touch tank – I love it! The rewards are even greater when we uncover little beauties like these to admire. That is so amazing. You are lucky to see all of that marine life/nature!! Thanks for reminding me what sea squirts are called! (Should I admit they make me feel a bit queasy, after a bout of food poisoning on the way here?) We arrived yesterday and were surprised by all those on the beach this morning. On the positive side, I’m so happy to be here to join in the shelling adventures in real time, and looking forward to the days ahead. Amazing! We saw lots of clumps of sponges like those over spring break in Naples. No sea squirts though! I saw what you said we’re dead mans fingers and now I know what they were! Thanks for such an informational and interesting post! Can we enter the giveaway more than once under the same name? So frustrating… As soon as we left Sanibel, the propitious shelling winds started to blow! That’s what that is! When my husband and I were on Sanibel Island in September we found this same orange blob at Lighthouse Beach. We did’nt know what it was. It’s funny we were’nt sure if it was a sea creature or not. We even thought it might be something made out of rubber that had been destroyed by washing around in the ocean surf. LOL. Sea Pork-what a strange creature. Thanks for the info. Sister Shelling Susan-Panama City, FL. Yup, the west winds are great! Went to beach this morning for sunrise and got some great pix. There was no one on the beach (probably because I forgot to set my clock back). Lots of great finds including two horse conchs over 12 inches, empty and looking for a home. Now they have one. Even got some good pix of a small orange octopus on his way back to the sea. Going back to beach later. Wow, do I wish I were down there. Your posts get me so excited. Thanks so much for sharing and please don’t stop! So many live shells today! We did find some juvie fighting conch, and some nice olives and a pretty paper fig. Hi Pam, just want to thank you again for the great shelling trip to Cayo Casta last week. We had a lot of fun, seeing you again and meeting the other shell lovers. Just thought you would like to hear about an unbelievable coincidence that we experienced on Friday. We went down to Marco Island on another shelling trip and there was only one other couple booked on the same trip. Guess who? Clinton and her hubby from Alabama! When we saw each other we couldn’t believe it. What a small world! We had a great time and had the whole island to ourselves. Shelling was good too! Hope we can join you again in the near future. Hi Pam – I just love your website!! Do you know if shells are still in abundance in the waters of Gulfside City Park? Thinking about doing some evening shelling! I love that beautiful orange sea pork! Those colonial animals you just can’t keep them looking as beautiful as they do when they just washed up and are still alive, even if you preserved them in alcohol permanently, so there is no point in trying to keep them. The best thing to do is just to admire them and put them back. Sometimes you will find sponges totally dried out at the very highest high tide line, but most of the dried out ones look dull and kind of ugly. If you have to have it send to your home out of town if you are visiting the island? Another words I am here on the island and would like to save shipping!! Lol!! I wanted to ask the same question! Can we enter once a day as in years past? 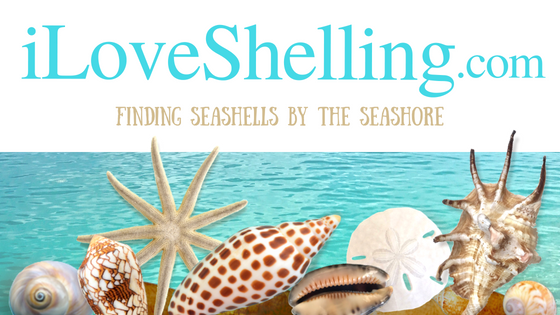 Sheila, thank you for your interest in The i Love Shelling shop! But i dont carry any of the inventory any morenother than my waterproof ID guides which can be purchased in lots of the local stores. So im sorrybto say that any where you are youbstill havebtonhavr it shipped. Even i have to order online and have the merchandise shipped to me. Sorry sweetie! I will be in Sanibel Dec 18th until Dec. 27th.My poor husband will drag me kicking and screaming when it is time to leave. Pam, you have no idea how much I enjoy your website. I get so excited when I see an email of a new post from I Love Shelling and cannot wait to open and view all the treasures. I just realized that the sea squirts kinda look like potatoes in the photo! Pam, what a great post! I love those huge globs of sea pork! It is fascinating to see the sea squirts, too. I was wondering if you could do an educational post on the differences between Shark Eyes and False Shark Eyes. You hinted that you might do something of that sort a month or two ago, but you still haven’t done it so I wanted to tell you that I would greatly appreciate a post like that. I was at Gulfside City Park over the weekend and was amazed at all the sea squirts. I only knew what it was because I look at your site everyday. Sunday I was speaking to a lady that said you were on your way to Gulfside and I really wanted to meet you but never saw you. We picked up so many awesome shells this weekend. We filled a whole glass bowl with tulips. I even found a gorgeous 2″ alphabet cone. I was thrilled!! We checked out the lighthouse and blind pass beaches and there really wasn’t any shells so we went back to Gulfside to fill our bags with treasures. Can’t wait to meet you one day. I try to go shelling every other weekend when I can make it down there. We live in Georgia.